StormBreaker's Brewstillery festival will take place this Saturday and brings together craft beer and spirits in carefully selected pairs. Now before you dismiss this festival, siting your preference to stick to craft beer on its own, as I almost did when I first heard about it, give me a chance to change your mind. In fact, let's start with a brief intro from Rob about how the festival came about. Last week I had the opportunity to try some of the pairings and while not all of them were for me it was definitely an eye-opening experience, one that left me with a greater appreciation of spirits. The pairings are designed for one to alternate sips of the beer and the spirit, taking the time to swirl the spirit around in the mouth and taste how it interacts with the beer it has been paired with. The majority of the spirits are whiskey/whisky or bourbon but even if those aren't up your alley you'll also find gin, rum, vodka and liqueur pairings, including a liqueur called "hopka" which is an 80 proof, vodka-base infused with Citrus and Cascade hops. While I didn't drink all of them (nor would I recommend attempting that feat on your own either) there were two that I particularly enjoyed. 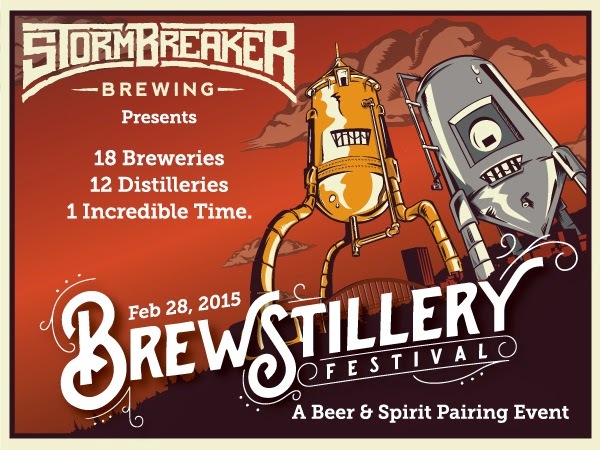 The first was Bull Run Temperance Trader whiskey and StormBreaker BBA Winter Coat. The beer was aged in Bull Run barrels for two months and the whiskey is a blend of four- and seven-year-old varieties. The sweetness in the beer is brought out by the whiskey and in turn the beer mellows the alcohol bite. The other pairing that captured my attention was Aviation Gin and Breakside's collaboration beer with Fat Head's, Juggling Plums Gose. Both parts of the pairing I would happily drink alone and the pairing pleasantly combines the coriander in the gin with the savory saltiness of the beer, imparted by the Japanese salt plums that were blended in post-fermentation into the bright tank. So, how did I do? 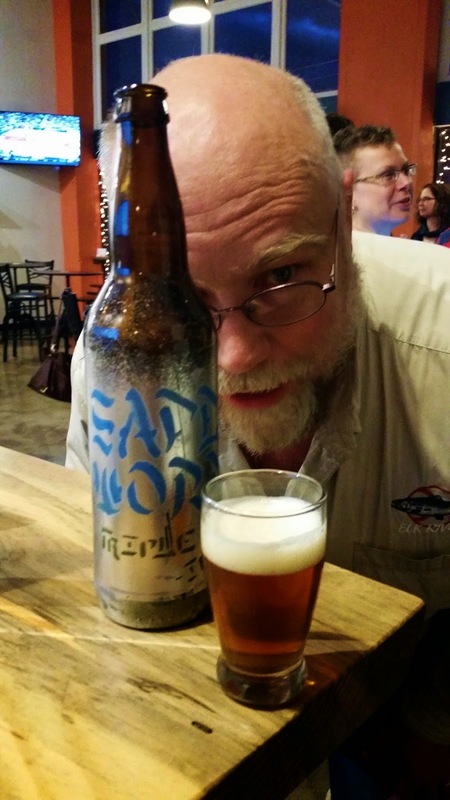 Do you believe this "beer-only" drinker that this is a festival you don't want to miss out on? If so, get your tickets now and save $5 on the door price. If not, I guess you can take your chances, skip it and then cry in your beer on Sunday when you hear what a great time it in fact was. 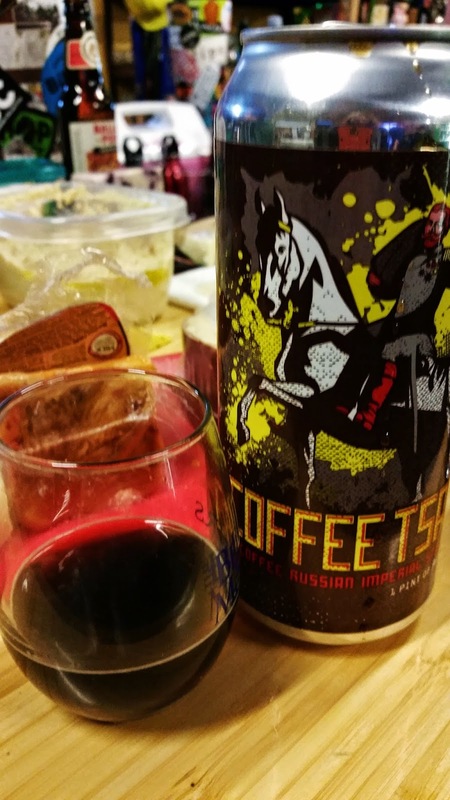 After taking a hiatus in 2014 and propelled by a friend's niece selling Girl Scout cookies, I got back on the cookies and beer pairing horse with some friends over the weekend. This time around we used this article as a starting point for our pairings, using the specific beers suggested when possible; the rest of the time selecting beers we felt had similar flavor profiles. The short version of the experiment was that we weren't in agreement with the article about many of the pairings and the beer that worked the best with the greatest number of cookies was Lindemans Framboise. While it makes sense from the perspective of it having a strong fruit flavor it was surprising that this very sweet beer and the sweetness of the cookies actually worked instead of just being an instant sugar high leading into a sugar coma. With the Savannah Smiles it was like eating a lemon cake topped with fresh berries; a pretty good transformation of these powdered sugar triangles. Drinking it with the Tagalongs, the chocolate-covered peanut butter patties, the fruitiness got along with both flavors better than suspected. Hands down though the cookie that it went best with and we all agreed was the best pairing of the night was with the Do-Si-Dos. Here the peanut butter sandwich cookies played the roll of the bread and peanut butter with the beer playing the roll of the jelly for the greatest not-pb&j you'll ever have. The most difficult cookie to pair with anything was the Thin Mints. We didn't have access to any of the suggested beers but felt the style recommended, stout, was the correct path. 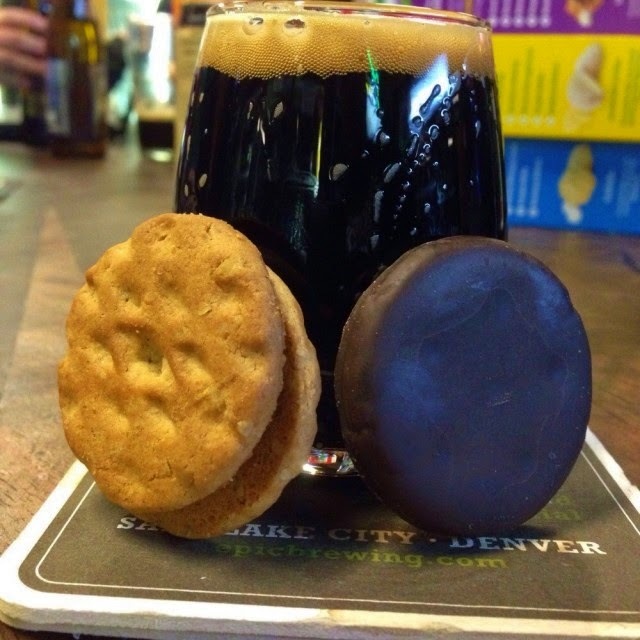 Block 15 Interstellar Darkness was on tap and one we thought would work well with a number of the cookies. It was really close to working with the Thin Mints but it just couldn't to seal the deal. What did work was Oskar Blues Ten Fidy. This is a beer either you love all 10.5% of it or one that just the pour into the glass looks too much like actual motor oil for you to fathom drinking. If you fall in the former camp, grab a can and a sleeve of Thin Mints. For as much as none of us were impressed with it on its own, the Savannah Smiles was probably the most agreeable cookie of the pairing. We kicked off the experiment with them and St. Bernadus Wit, chosen by Chris as a substitution for the WestBrook White Thai/Jester King Biere de Miel that were suggested. The mildly flavored, low ABV wit played well with the lemony cookies. Later on one of us got the idea to try an IPA with it. As it turned out Lost Coast Sharkinator, a hoppy white IPA, made for a nice pairing as well. And of course, as previously mentioned it was a slam dunk with the Framboise. 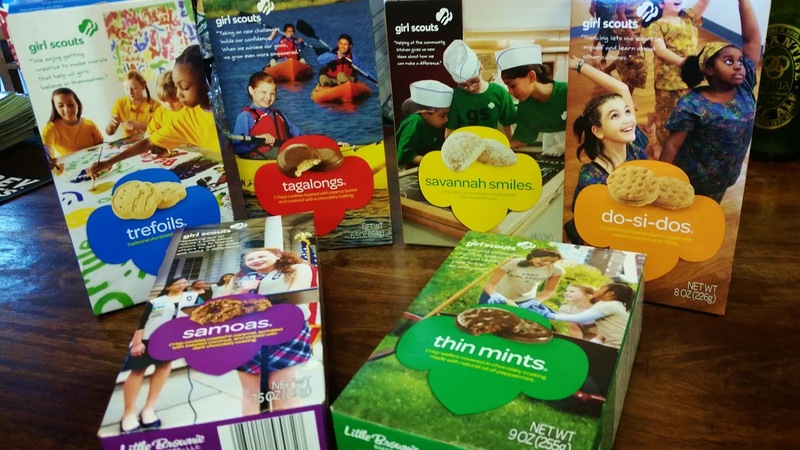 Right now you can't throw a stone without hitting a Girl Scout selling cookies and whether or not you really want them you'll probably end up with some. So make the best of it and have fun with your beer at the same time. 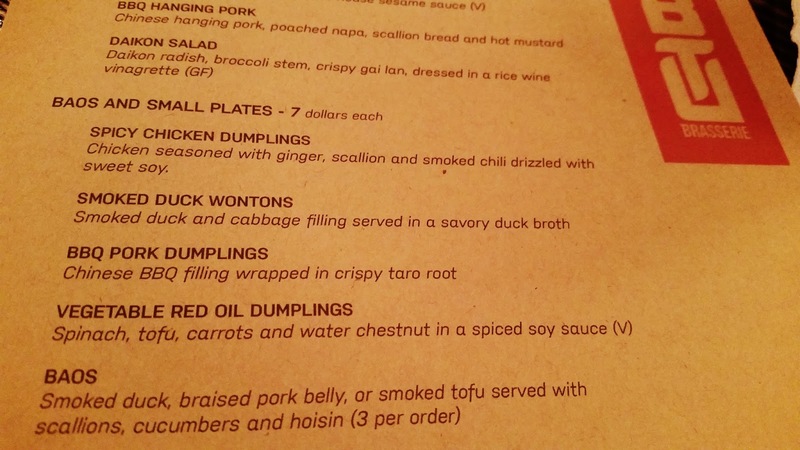 If you're so inclined, check out my pairing attempts from 2013. Faithful readers know that I like food as much as I like beer and I can't help but playing with the two. Recently I'd culled my pile of recipes I had been collecting (hoping to make them at some point) during which time I re-found one for beer muffins. 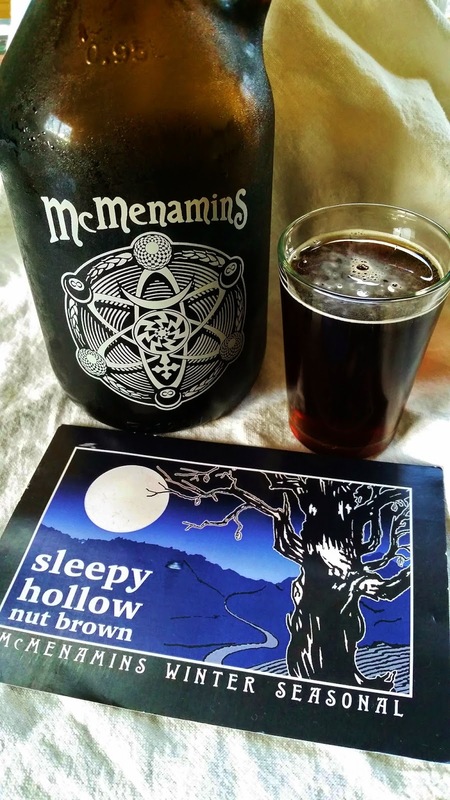 The timing was perfect, having just picked up a grumbler of McMenamins Sleepy Hollow Nut Brown, as I wasn't interested in using a stout or IPA (two of the most common styles found in my fridge) to try it out. The beer is one of the nuttiest representations of the style even though no nuts were harmed in the making of the beer. As with many nut browns, it starts with a mild aroma, followed by an even milder upfront flavor but what sets this beer apart is the nuttiness that kicks in just as one is starting to think it's going to leave you hanging and leaves a pleasant aftertaste. 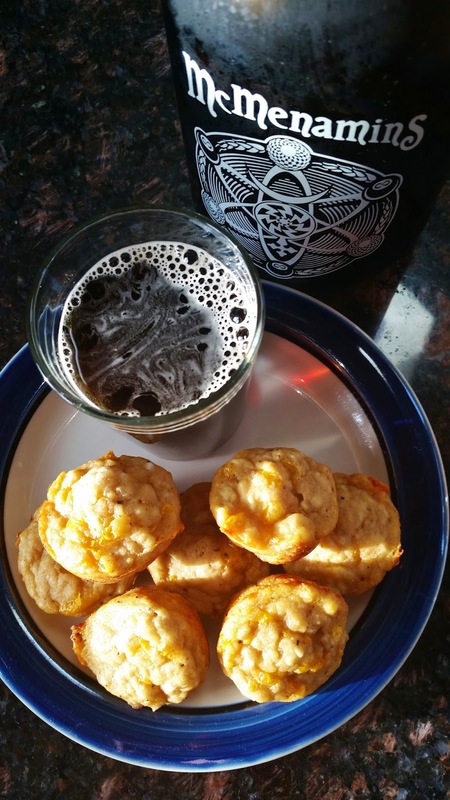 After enjoying an introduction to the beer on its own I dove into making the recipe, altering it from standard muffin size to mini size, perfect for sharing and snacking on alongside a beer. As luck would have it I didn't need all of the beer for the recipe and not long after I pulled the little buggers out of the oven I had to have one (ok, maybe more than one) with the beer. And you know what? 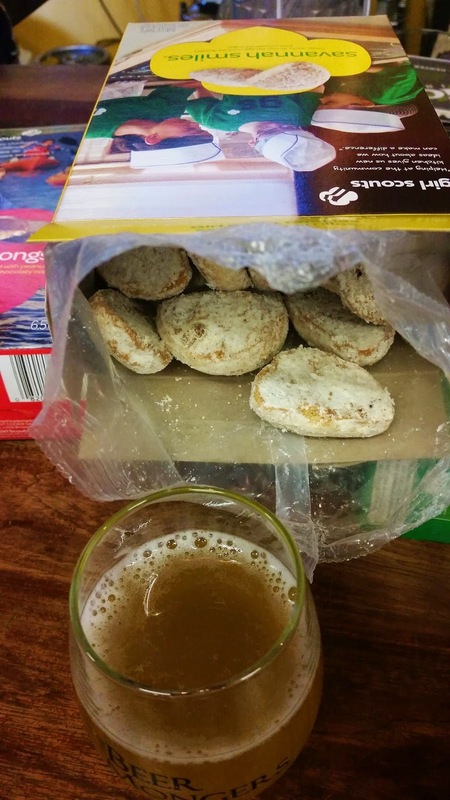 Even though the mini muffins have plenty of flavor on their own they didn't overshadow the beer, allowing the nuttiness to still come through. I'd call that a win. If you want to try your hand at some of these delicious bites, here's the recipe. And if you want to get some Sleepy Hollow, you've got about 10 days left to do so. After that the next McMenamins seasonal will be coming into rotation. Thanks to my better half for buying tickets to Fort George's Festival of the Dark Arts on a [inebriated] whim, I'm no longer a #FoDA virgin. We're not very good about planning vacations or even weekend getaways but having secured tickets early was all that it took to follow through with getting a place to stay and before I knew it, it was time to hit the road to Astoria. 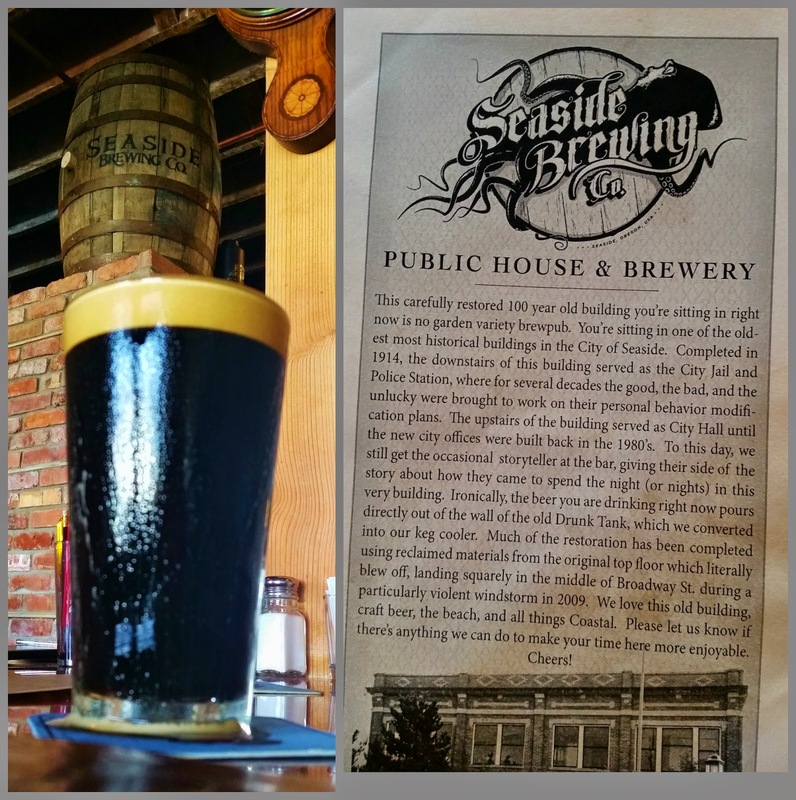 Going out a day early gave us the opportunity to take the short trip at a leisurely pace with an impromptu stop at Seaside Brewing along the way. We bellied up for a couple of beers and a plate of some of the best nachos I've had in a long time (the nachos being a decision based 100% on seeing another couple at the bar enjoying some when we arrived). Mag chose their Lockup IPA; I went for my second choice, the Stormcrow Imperial Stout. I "won" in this round, enjoying a glass of roasty, creamy goodness while Mag struggled through his pint of decidedly Belgiany IPA. Before we got too comfortable we shoved off and finished the drive to Astoria. 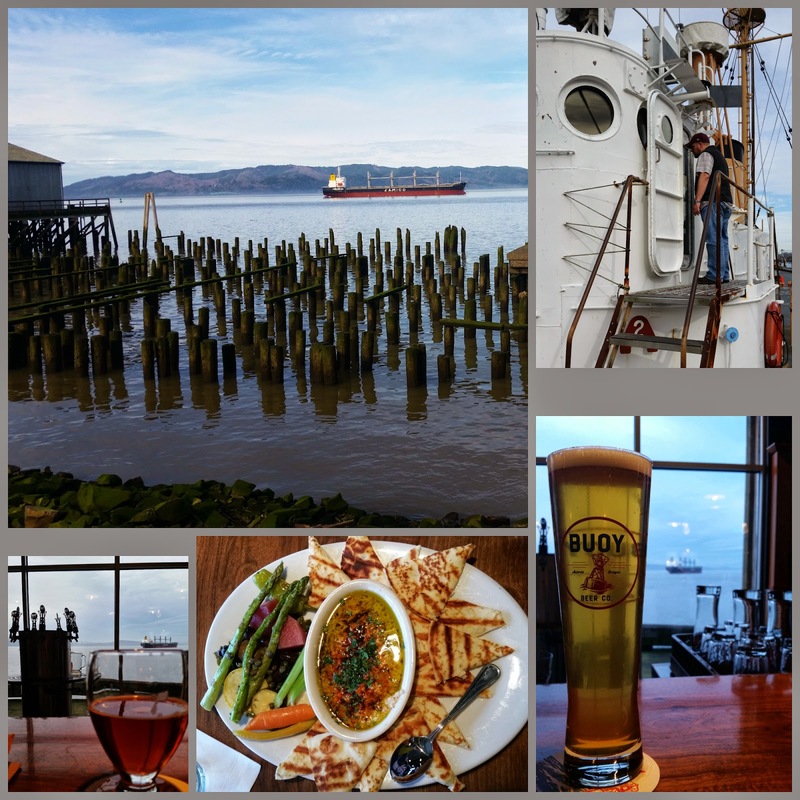 Once there we did a little sightseeing, checking out the Columbia River Maritime Museum and adjacent Lightship Columbia boat, did a little sea lion watching and eventually checked into our B&B before hitting Buoy Brewing. We lucked out that the inner bar was full, "forcing" us out to the main bar where we snagged seats that allowed us to watch the ships float by. Our bar food nibbling continued with an outstanding hummus plate where it was clear there was as much care put into it as there has been into their beers. There was of course also the glass-floored area where we could peek in on the sea lions napping below. We kept it tame knowing there was plenty of beer ahead the next day. Saturday, after putting down a good drinking base with breakfast at the B&B, we waited for the drizzle to subside and the big show to begin. Once in the door opened I grabbed my first beer in the Lovell Brewery and then raced to catch up with the group up the spiral staircase in the Pizza Joint. While the Truffle Shuffle wasn't super special, it was a solid stout and a great start to the fest. As the day progressed, the venue filled and we made our way from one area to the other. No festival can provide a lineup of 100% awesome beers but you take the good with the not so good and at least for me there weren't any drain pours and more than a couple that I really enjoyed, including Mill City Brew Werks Tripwire, Bear Republic Brandy Barrel Aged Grizz and Buoy Raspberry Chocolate Stout. Not only is the Dark Arts a beer festival but there's entertainment in the form of live music, ice sculpture carving, belly dancing, fire dancing and more. I would have enjoyed sticking around for the fire dancing but that didn't start until over five hours in and while I did a decent job of pacing myself, by that time my endurance had run out. No worries, though, there's always next year, right? Because as much as I have enjoyed Zwickelmania in past years, Fort George makes a strong case to choose their festivities over Oregon's beer open house. If you haven't been I'd highly recommend it as it is one of the best festivals around. Thanks to my buddy, Baker, for snapping a pic of us, part of the large contingent of Portland usual suspects that attended. Happy Friday, friends! Those of you in Oregon know that tomorrow is a big day with both Zwickelmania and Fort George's Festival of the Dark Arts going on. If you're going to Dark Arts you're on easy street, you know exactly what you'll be doing. For those of you planning to zwickel, there are questions to be answered - where are you going to go, how are you going to get there, how many places can you hit before you hit the wall. One place you might want to work into your plans is Breakside Brewery. Why? Well because earlier this week I had a chance to try a couple of new releases and one will have a very limited bottle release at their Dekum and Milwaukie locations only on Zwickelmania. That beer is Safe Word Triple IPA and with only 40 cases available if you want to get your hands on any of the bottles I'd suggest getting to one of the locations early in the day. At 11% ABV this is a big boy but in the most wonderful way. It starts with a deliciously stanky aroma and finishes with a hint of gin. For more about Safe Word and their other limited release, Bellwether, check out the video of head brewer Ben Edmunds. 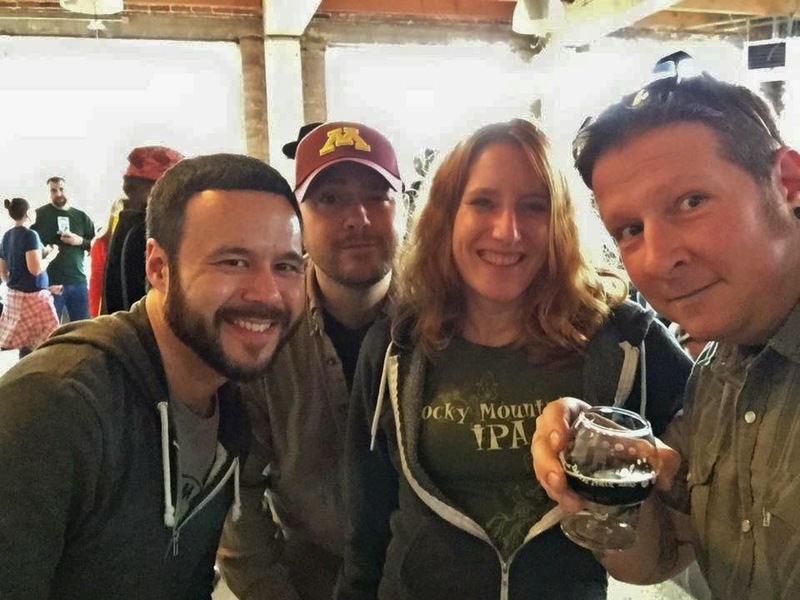 Many of you know that I am the marketing director for Brewvana Brewery Tours and I'd be remiss if I didn't plug our two FREE shuttles that will be running for Zwickelmania. One will be making a loop around Portland to eight locations while the other will be out in the west suburbs. Our wonderful brewery partners have helped to provide you with a safe way to get around so take advantage of it if you can and hop on! Finally, for anyone who isn't in Portland and is wondering what this zwickel thing is all about, here's a video to help explain it. This is not just a post for my beer friends, but also for my foodie friends. 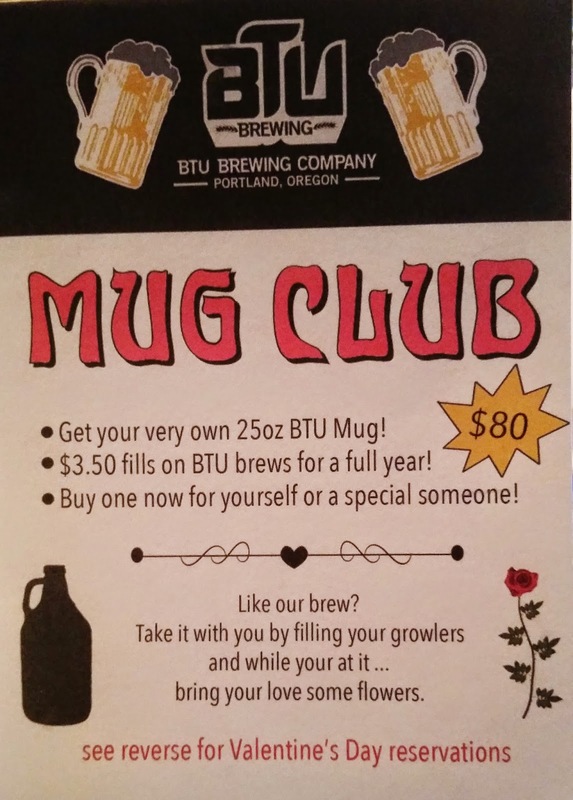 I implore you take the time to get to BTU Brasserie on NE Sandy Blvd because when co-owner and the man heading up the food side of things, Chris Bogart, says they are making beer to go with food, he isn't just blowing steam from their boiler-fed brewing system up your arse, he means it. Last night I started off with the Dark Helmüt Schwarzbier, one I remembered from my visit as I was writing my piece for the Oregon Beer Growler as going wonderfully with the dry-fried green beans. 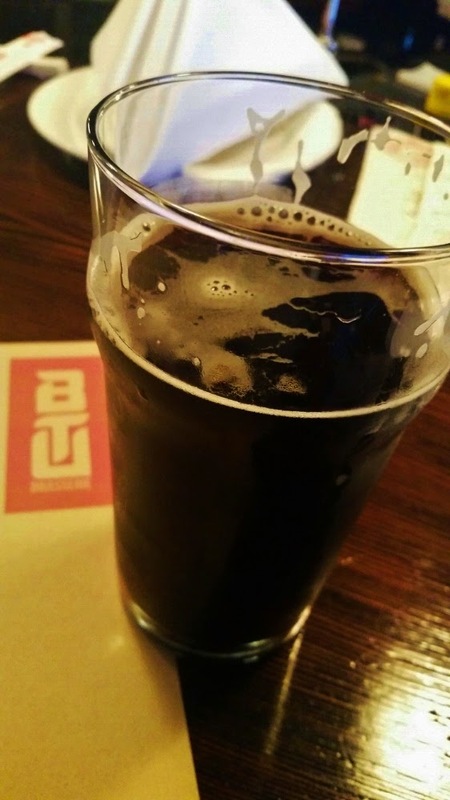 Mag went for the BTU lager, their flagship beer that is made with Chinese short grain rice. It's a beer that despite it being a lager is also one I really enjoy and shows off the facty that brewer Nate Yoyu knows what he's doing. As with the green beans, the Dark Helmut went well with nearly all the food we had, starting with the smoked duck baos, mock eel (crispy fried shiitake mushrooms) and dan dan noodles and their corresponding assertive flavors provided by the hoisen, sweet soy sauce and mala-based sauce respectively. The same can be said for the Robust Rye porter, although after acclimating to the Dark Helmüt it tasted sweeter than it probably really is, and the Jolulpukki bock, a beer I don't think I'd enjoy on its own but went incredibly well with the food. And it's not just a bock, it's a bock made with Cinderella pumpkin, Sichuan peppercorns, fresh ginger, star anise, cinnamon, bitter orange peel and coriander. That's a lot going on and while two wrongs don't make a right, there's something awfully right going on with this assortment of ingredients. 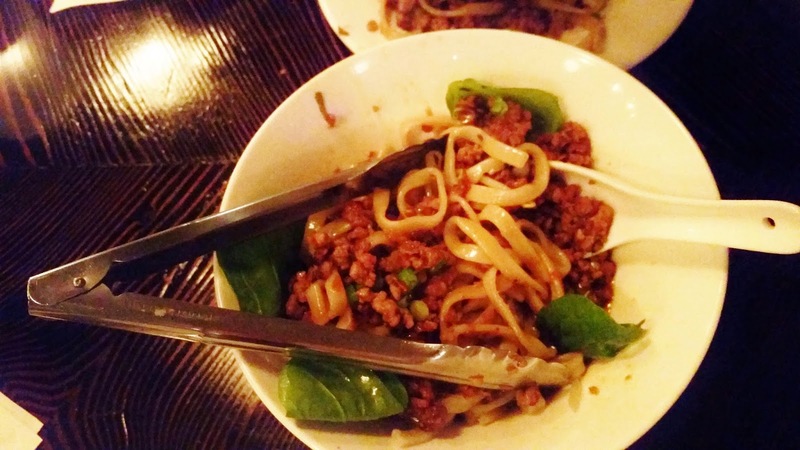 My least favorite dish of the night, and only because we had it in the middle of the rest of the food was the fried rice special. Had we started with that and a pint of lager or Sandy blonde I likely would have appreciated its more subtle flavors better. But, hey, that just means I have another reason to go back and visit soon to prove my point, right? If you need more reasons than I've already listed, here are two good ones. Today's the Super Bowl, which of course means you'll be having some beer and in case you haven't figured out some eats to go along with that beer, let me suggest a very easy solution: cheese. Before, all nicely laid out, waiting to be tasted. 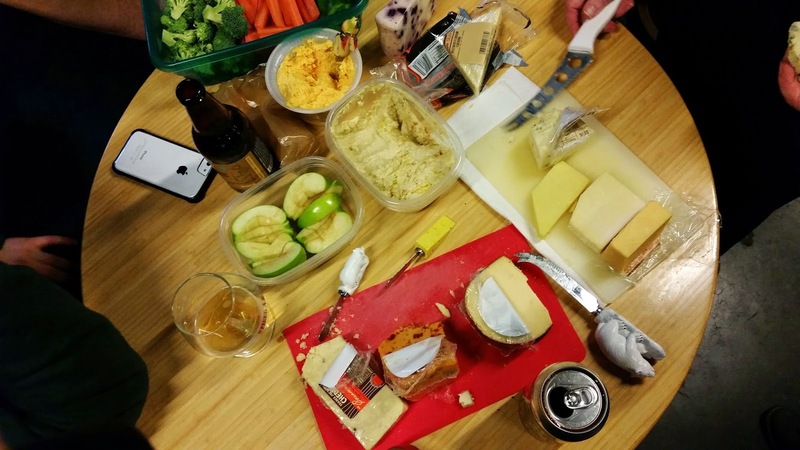 Friday night we got together with some friends at our usual haunt for an informal evening of beer and cheese pairing. 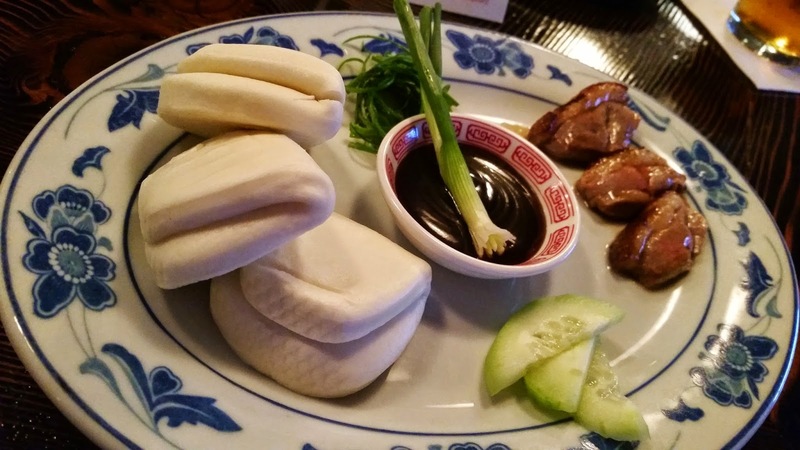 We each picked up a variety of cheeses and throughout the night picked out beers that either we wanted to try on their own or ones that we thought would go well with our selection of cheeses. 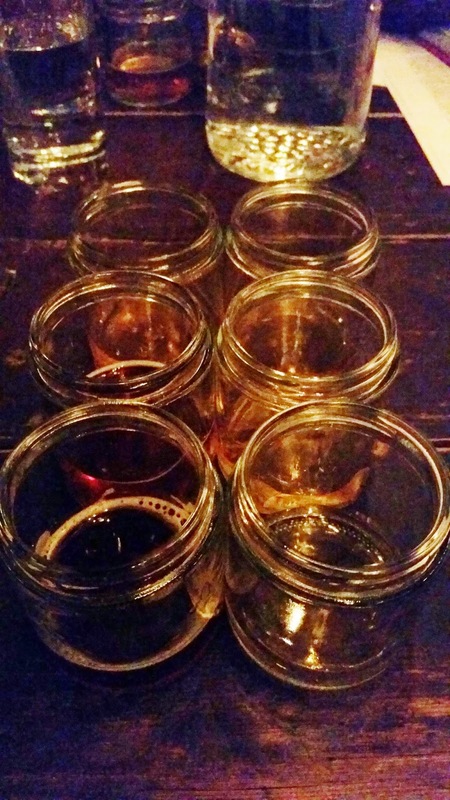 The beer that paired well with the most number of cheeses was Calapooia Brewing Chili Beer. Mag picked this with the idea that it would pair well but we were surprised by just how well it went with so many, including Irish Murray's cheddar and our "white trash" cheese entry of the evening, Trader Joe's Pub Cheese cheddar with horseradish. The creaminess of the Irish cheddar nicely balanced the spice of the beer and Chris found the combo to be reminiscent of nachos. The caramelized onion cheddar was the most difficult cheese to find a mate for but eventually we did in Ballast Point Grapefruit Sculpin. Sounds like an odd combo, right? Sam may have described it best, "It's like Burger King...when Burger King was good." A couple of the "of course" pairings we enjoyed were Roughtail Coffee Tsar (part of a just-arrived shipment from a beer buddy) Russian Imperial Stout and Rogue Creamery blue cheese, Uinta Birthday Suit Sour Farmhouse Ale and blueberry stilton, which tasted like blueberry crumble, and cranberry stilton with both Ex Novo Gose Either Way blackberry gose and Trinity Brewing Chilly Water baltic porter. 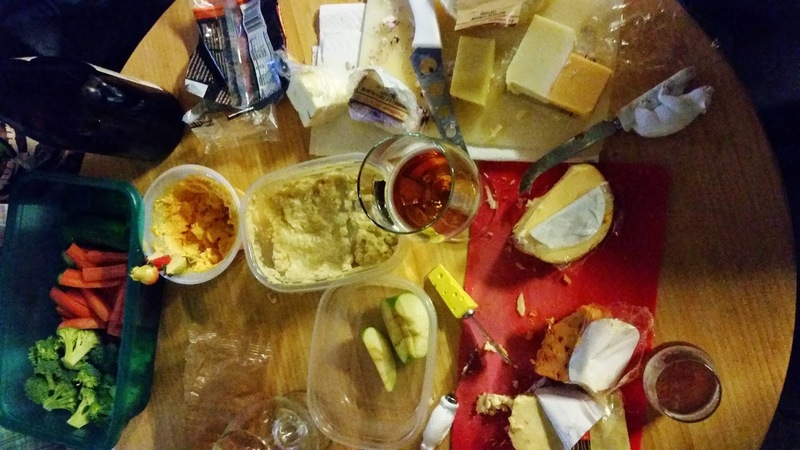 So whether you want to have a more organized beer and cheese plan or just pick out some of either that you like and have at it, it's pretty hard to go wrong. You don't even have to go to a great cheese shop (although that's always fun to do); all of the cheeses we picked up came from Fred Meyer and Trader Joe's. After, the table scattered with remaining bits.